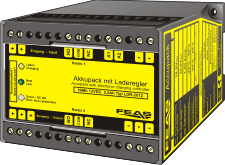 Through buffering load currents during line voltage faults, peak loads or switching operations, interferences at controls, caused by short blackouts, can be avoided. The integtated Buffer capacitors bypass short power failures and supply the consumer with energy, which guarantees a constant power supply. 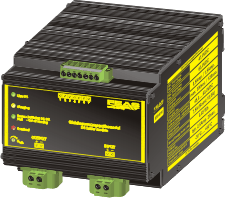 The integrated buffer capacitors store energy as long as the DC power supply voltage is available to deliver it controlled to the consumer in case of a power failure. Because most blackouts are shorter than 0.2 seconds and can be bypassed with the buffer module and the reliability of the complete system is considerably improved. 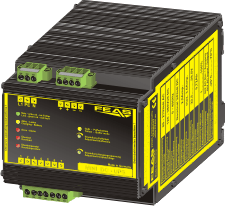 After a power down or a line voltage failure the load current is taken over by the buffer module for a certain time. Thus for example operations can be finalized controlled and process data can be stored, to allow controlled restarts.